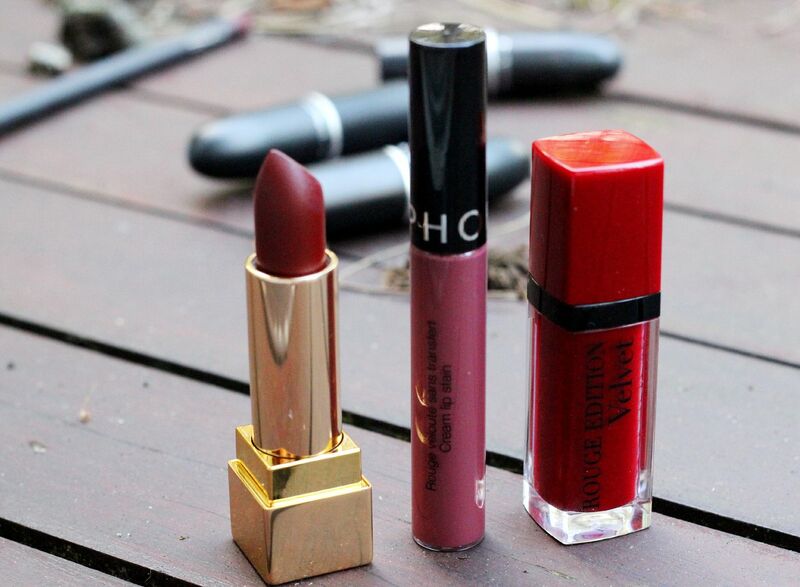 Following on from Monday’s post, here are my top three Autumn lipstick picks (non MAC!). I just cannot wait to wear them all… I have been wearing my parka (ooh), and feeling so Autumnal today. I also saw the nicest coat I want to get… it was purple and had a faux-fur colour. Yves Saint Laurent Rouge Pur Couture The Mats… the newest one. I blame this on my gorgeous friend Josie – she posted about it here, and I immediately wanted it. Colour aside, OMG the formula on these are sensational. Will report back in more depth soon. Sephora cream lip stain in 04… I picked this up in Barcelona, and I’ve been waiting for it to get colder to wear it. So plummy. 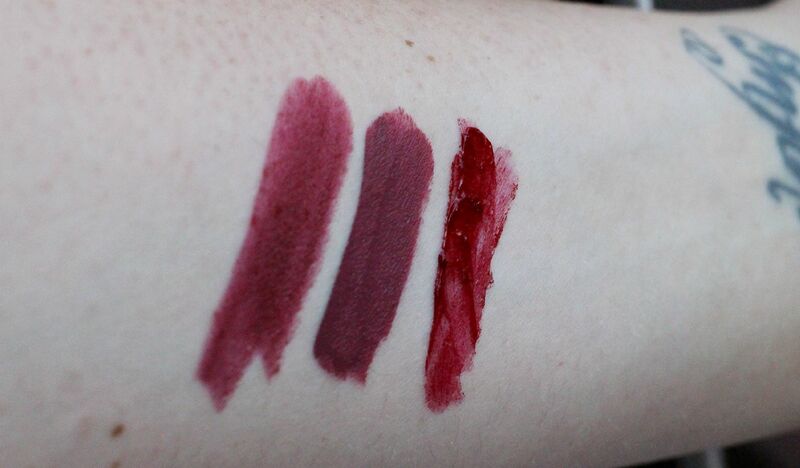 Like wearing jam on your lips, but much better, and more importantly – it’s matte. I feel like this shade would be good if you were French, and in Paris and elegantly smoking a cigarette (not that smoking is elegant, but y’know). 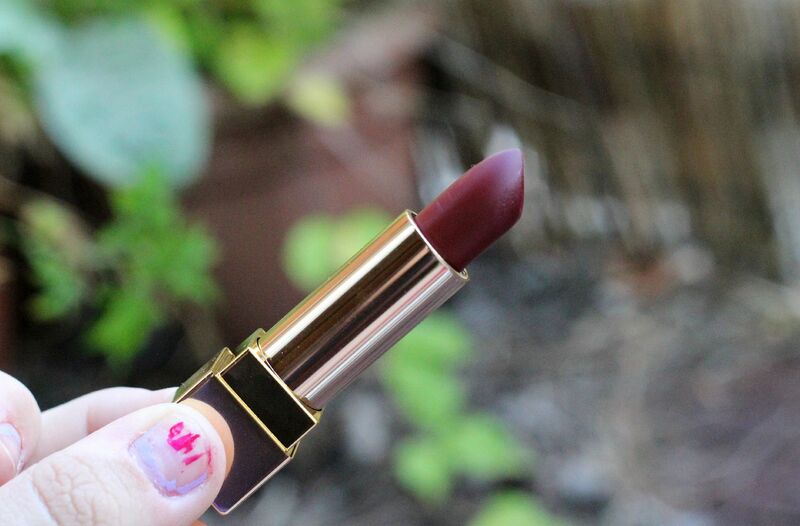 Bourjois Rouge edition velvet in Grand Cru… If you like vampy reds, you’re going to need this. Awesome glossy formula that dries down nicely, and this one is blue-toned so it makes your teeth look a bit whiter.